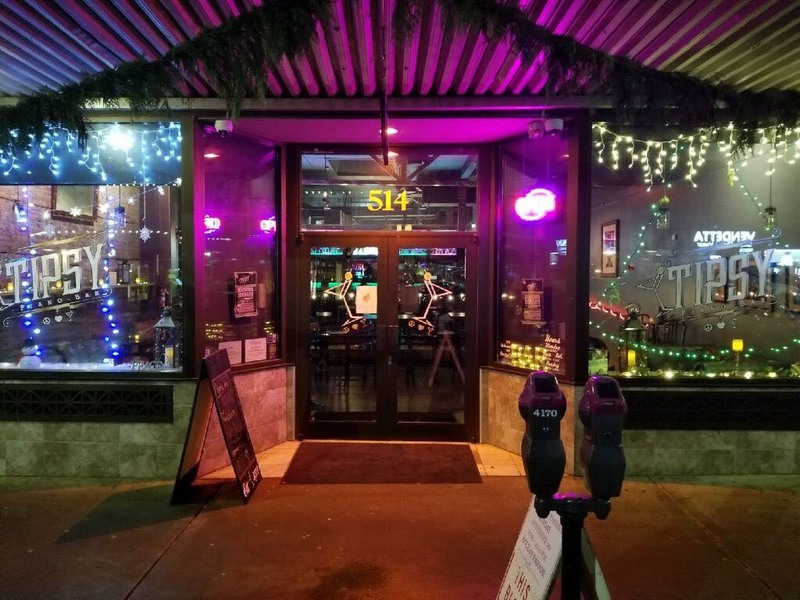 The holiday season is coming and Tipsy Piano Bar is ready. Tipsy has been getting busier and busier since opening their doors last August and the holiday season is ramping up. Anyone visiting the bar in the evening knows it always feels a bit like a celebration. Center-stage sits a pianist at a baby grand piano, there are friendly regulars, great handcrafted beverages and terrific southern-inspired food. Recently, Tipsy extended their hours to include lunch so you can enjoy many of your favorite dishes in perfectly sized lunch proportions. Over the next few months, co-owner Jonas Rodriguez expects to be building a solid lunch crowd as well as hosting holiday work parties. “We already have people coming in asking about reservations for holiday lunches,” says Jonas, “or as a place for their meetings. And it makes sense, this is such a great, relaxing environment.” He is absolutely right, the lighting, the crimson and brick walls, the intimate seating with room to mingle, it all feels comfortable. That easy-going attitude all starts with Jonas’s crew and filters right down to the experience of patrons. 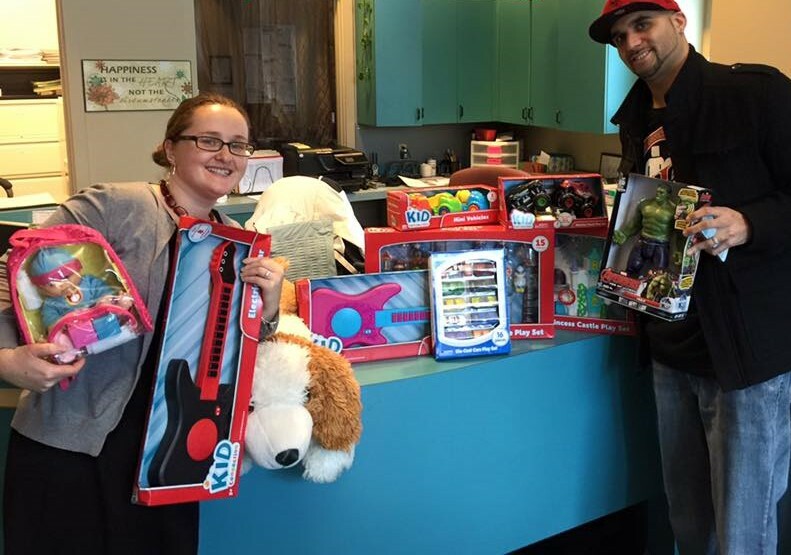 Last year, Jeremy was able to raise well over a $1,000 in toys and cash. 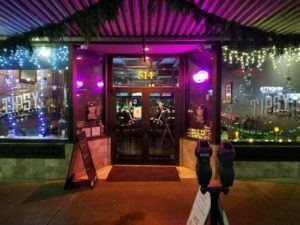 This year, with the help of Tipsy patrons, they hope to bring in even more. They are planning a special night featuring three popular Tipsy performers for the event. “This year we have Angie Swan, Charlie Saibel, and Michael Larson,” says Jeremy. “They will each play for about an hour and a half. Each of them has a completely different style, so it will be a great night.” Expect everything from bluesy rock-and-roll, some hip hop, pop, maybe even a choir appearance. It is going to be a night of music and goodwill. Cash donation or a toy, it is all for a good cause. Bring either to their Turn up for Toys on Saturday, December 15 and you will be rewarded with a free dessert. It’s a sweet deal all around. If you can’t make the Turn up for Toys, you still help out the community. 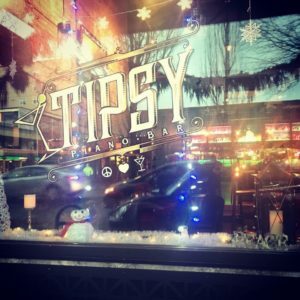 Visit Tipsy any day before December 14 and bring five cans of food or other non-perishable food item for donation to the Thurston County Food Bank . Tipsy will reward you with 10 percent off your bill. This is the second year that Tipsy will help out the food bank and they hope to keep the momentum going. Make reservations now for company parties or gatherings, Tipsy can seat up to 80. Season specials will be on the menu and Chandra, Tipsy’s lead bartender, has already been experimenting with festive, new recipes. You can call Jeremy directly to book your company party or special night out. Reservations can also be made via Facebook messenger. Be warned, Tipsy gets busy on the weekends, they want to make sure they have a spot for you so call ahead.